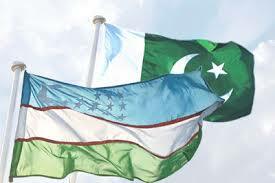 Uzbekistan and Pakistan have wonderful cordial relations: Nasser Khan Janjua. ISLAMABAD: A delegation from Uzbekistan, headed by Security Council Secretary Viktor Mahmudov along with the Uzbek Ambassador to Pakistan Furqat Sidiqov, called on National Security Advisor(NSA) Lt Gen (r) Nasser Khan Janjua on Wednesday afternoon. Besides discussing bilateral relations, matters pertaining to regional security and prospects of regional connectivity were discussed. Subsequently, NSA gave a detailed presentation to the delegation highlighting the international and regional security situation. NSA deliberated on the significance of the bilateral relationship, common challenges and opportunities for Pakistan and Central Asian Republics. “Thereafter Lt Gen (r) Nasser Khan Janjua briefed the delegation about the efforts of Pakistan to bring stability and peace in Afghanistan. Peace in Afghanistan means not only peace in Pakistan but the whole region,” he added. He also appreciated the initiative taken by the Uzbek President at the Tashkent Conference which specifically focused on the peace and stability of Afghanistan. Mahmudov expressed his country’s strong desire to work with Pakistan collectively for the peace of Afghanistan which was positively acknowledged by NSA. The delegates applauded Pakistan’s efforts against terrorism and for peace in Afghanistan. Both sides agreed to work together to improve their relationship in every sphere and to align efforts for sustainable peace in the region.